Hi friends! 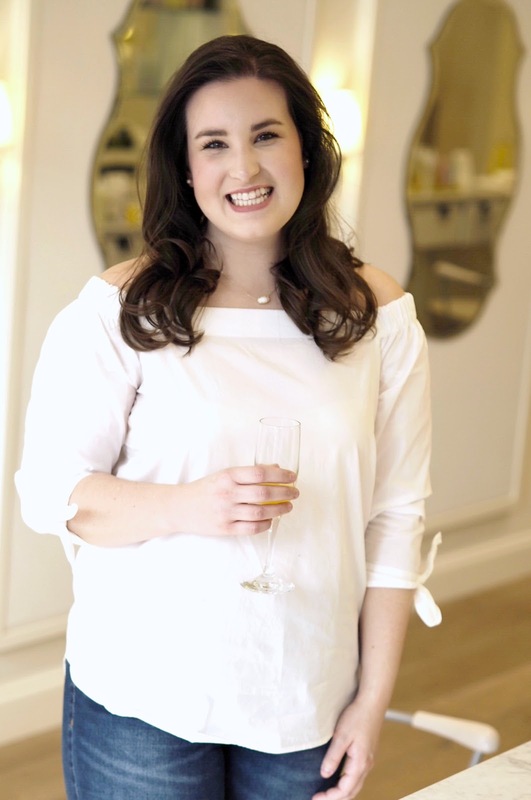 I am so excited to share this post with you, as I was so sweetly treated to a blowout at drybar on Sunday! Most of you will know that I am a huge Kate Middleton fan. And with that comes my love of bouncy, soft hair. I have tried to so many times to get that volumized, blownout look, but after having to cut a round brush out of my hair, I've left it to the professionals. Well, I can truly say that drybar was such a fun experience and mu hair turned out great. I would 10/10 recommend it to anyone who wants to feel pampered or learn a few hair tricks! Happy Thursday friends! This week has been such a crazy one - I feel like I need Monday off every week - but I am so looking forward to this weekend. 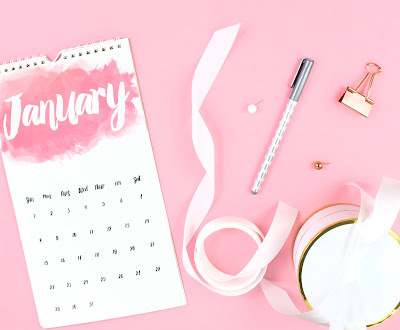 I am working on some exciting blog features and can't wait to share them with you! 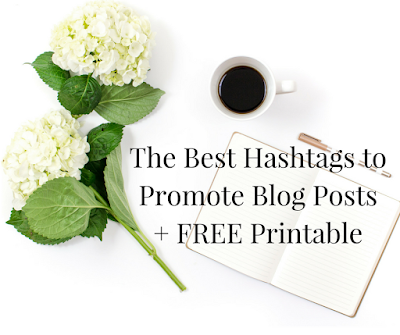 Today, I thought I'd share my favorite hashtags that I've found to be effective on social media AND I created a free printable for you. You can download the PDF, print it out, use the ones you like, and even add your own, so you'll never forget the hashtags you want to use! Hi friends! I am so excited to tell you about this easy, healthy, 4 ingredient recipe! I am a picky eater 100%, so when Myles and I originally thought this up, I was not totally on board. But y'all, no one was more surprised than me when I actually loved it. 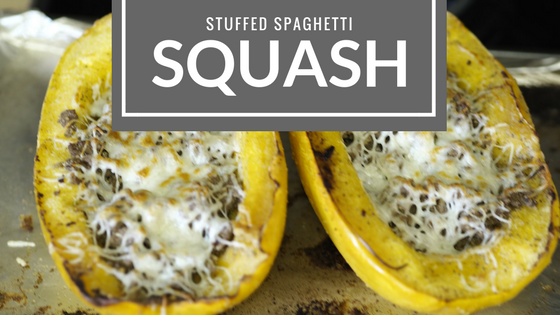 I love that the squash has a bit of a crunch to it that makes you feel full and satisfied, but hardly any carbs, so you don't get that overstuffed, bloated feeling. It's easy to carry with me to work for lunch and pretty inexpensive to make too! At only 250 calories per serving, this one is sure to please! After the squash cools, we scrape it with a fork to mix the "spaghetti" and the filling together, and we eat it just like that! It has a bit of a crunch to it, and it holds up well to being microwaved during the week for lunch. We've tried this with eggplant and it was just as good, but I also think using it to stuff bread would be AMAZING! 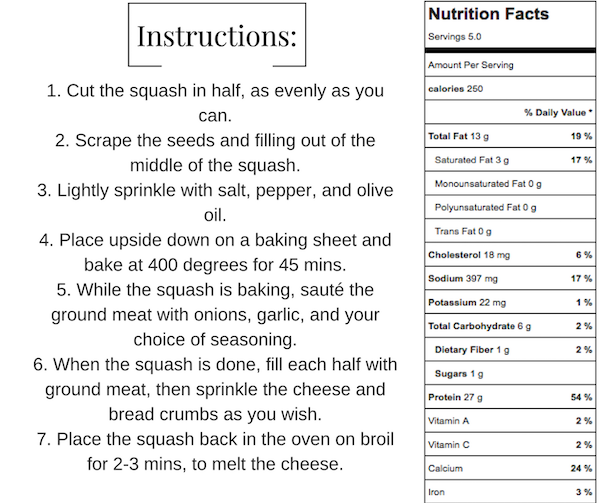 If you want the nutritional facts, you can view that here. Let me know if you try it! Happy #WorkoutWednesday friends! I know, know, that's really cheesy and probably isn't a thing, but I thought it was cute, so I'm rolling with it! Today I thought I'd share some "new to me, but absolutely genius" workout pieces. As you may know, Myles and I are training for our first 5k, but we've also been trying to be more active and go to the gym more often since last summer, so I've bought, tried, and returned lots of workout gear. These, my friends, are the diamonds in the rough that I'll never go without again. Hi friends! And Happy Friday! We made it through another week and it seems as if time is flying by. 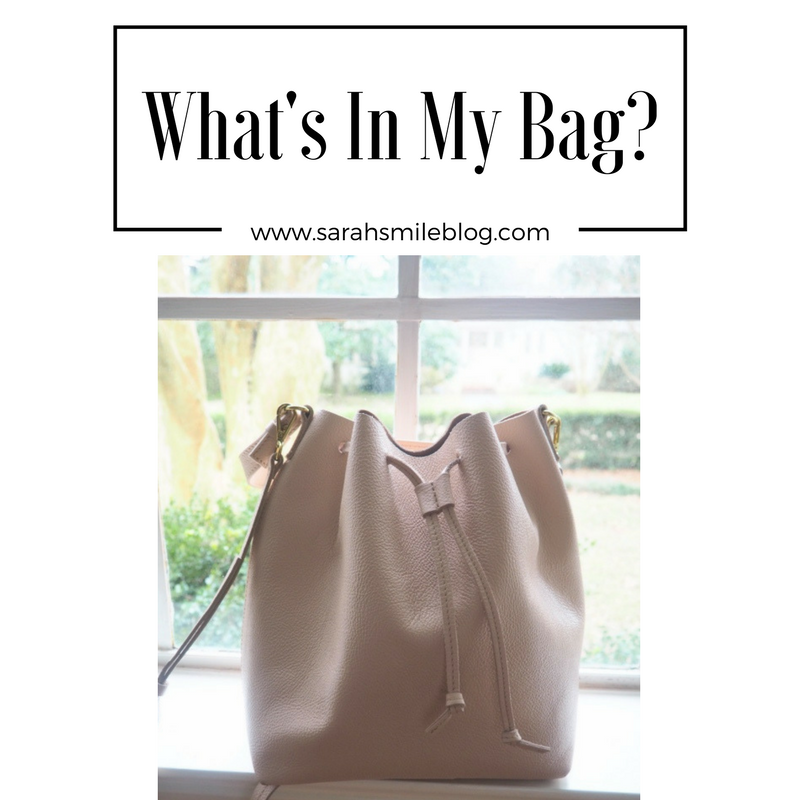 I thought that today I'd take a stab at the very popular "What's in my bag?" type post. Myles got me this gorgeous blush pink everyday bucket bag from Mark and Graham for Christmas and I've been loving breaking it in because it fits so much! I thought I'd do a mini review and then show you what all it can fit inside of it. 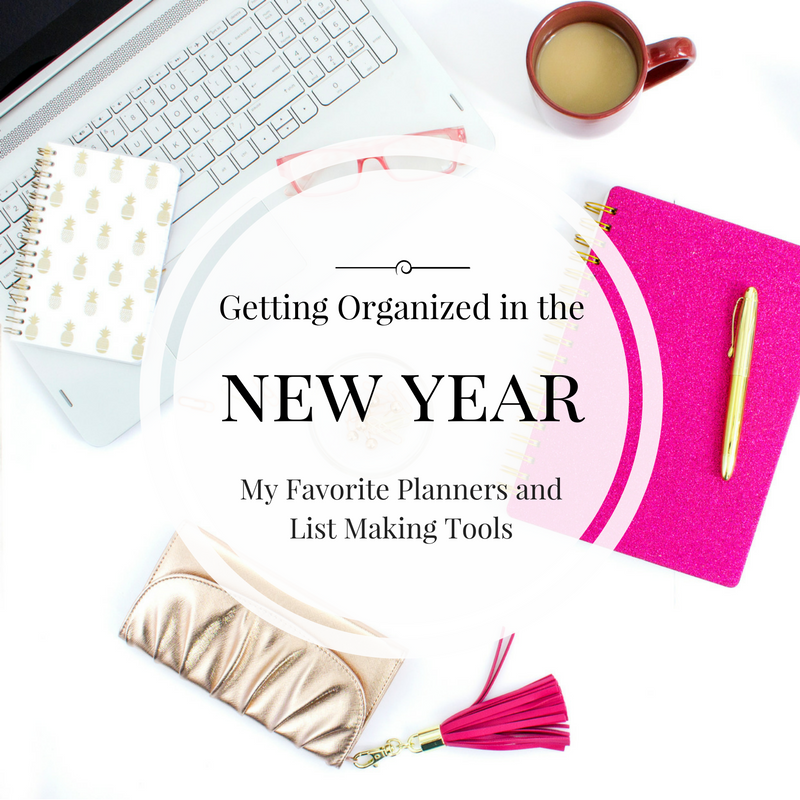 I love seeing what other people carry around with them and how they organize it, so I hope you do too! Hi friends! 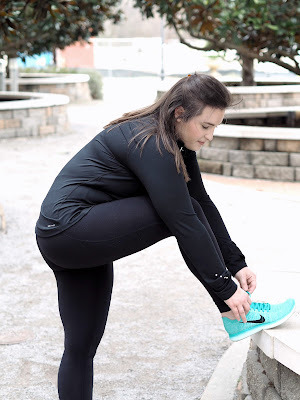 Today's post is inspired not only by the new year and all of the resolutions to get more fit, but also by my re-entry into the gym world and my preparation for a 5k in March!! 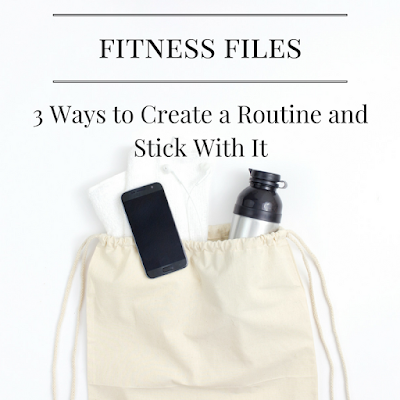 I think getting into a groove and really finding the fitness routine that works for you is difficult, especially if you've never walked into a gym before, but it's also no fun to do everything by yourself, so here are my 3 tips to find/create a routine and then stick with it! It's Friday friends! This week has flown by SO fast, especially because the week between Christmas and New Year's was so slow and easy being home. It feels nice to be settled back in to work and starting fresh in new planners and notebooks though. I thought that today I'd share my favorite planners, content schedulers, and list making tools in the hope that this helps the rest of your year be as organized as the first week! Happy humpday friends! I love this time of year. Not as much as I love fall, but I love the newness and the excitement for things to come. What I don't love though is the dryness that comes with this cold winter air. One of my most read posts is my top 5 moisturizers for dry, sensitive skin, so I thought I'd do an updated post and include hair too! I have dry, sensitive skin normally, so winter is really tough on my hair and skin. 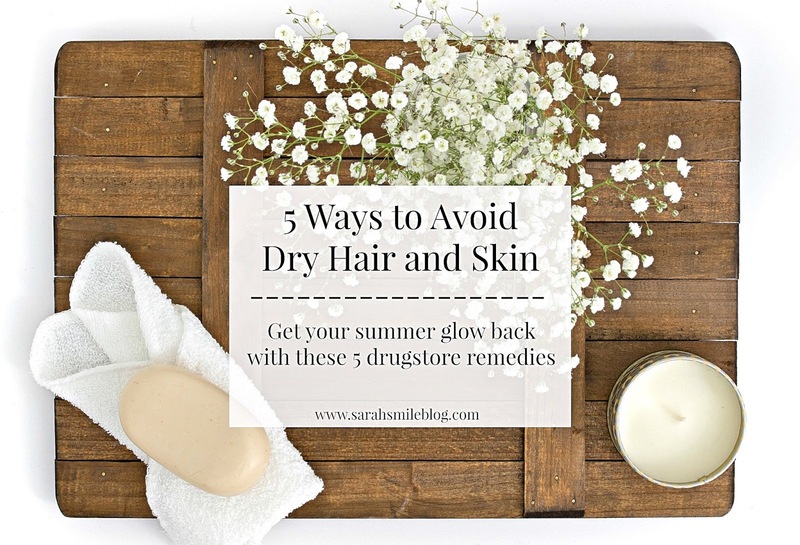 BUT, I've found 5 things that help me keep my "summer glow" well into the winter time and I thought I'd share them with you today in case you share the same problem. Hi friends! Taking the last week off to spend time with family and friends was much needed, but I am so glad to be back! I did some behind the scenes work on the blog while I was away and am excited to say that a freebie library is on the way! I am working on helpful printables on how to take a blog from a beginner to a business and I am so excited to share them with you. I have learned a lot in the past 3+ years and I'm hopeful that what I've learned will be a big help to all those just starting out!